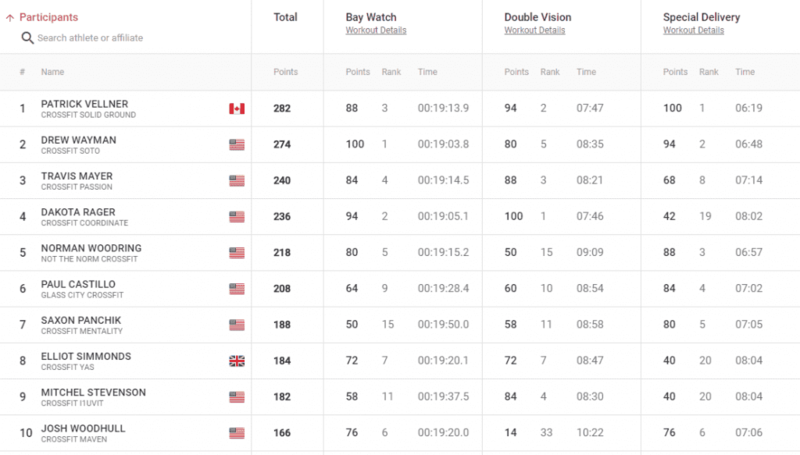 Canadian fan favourite Pat Vellner takes the lead! 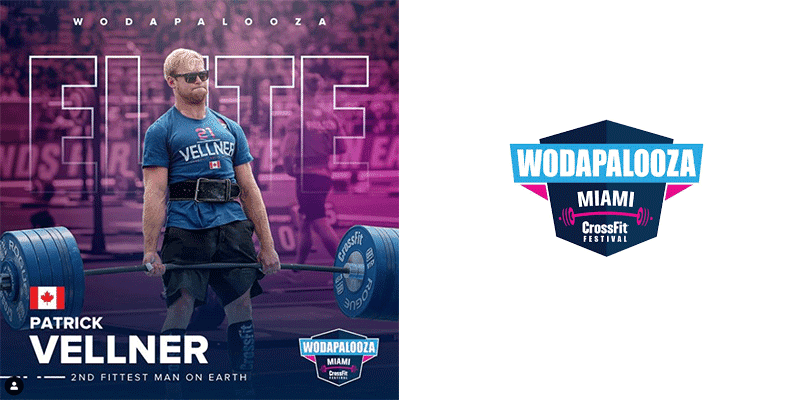 Pat Vellner has taken the lead at WODAPALOOZA after winning Event 3. Every 10 minutes, different divisions were released to start their 5K beach 'run.' We put it in quotes since the course had 4 spots where athletes entered and exited the water. Not exactly a swim but not totally a run. Kristin Holte took the win for Elite women with a time of 19:24. On the Men’s side, Drew Wayman won it by 2 seconds at 19:03.